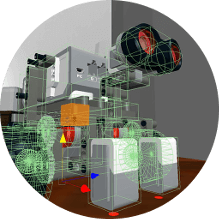 Build, program, and simulate your very own virtual Mindstorms robot. 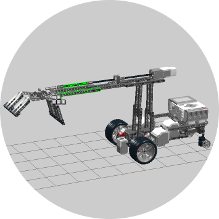 Then use the LEGO® MINDSTORMS® EV3 programming environment to write programs to control your virtual robot, just as you would the real thing. 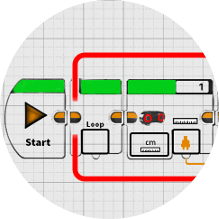 If you’re familiar with MINDSTORMS programming, you already know how to use our simulator. 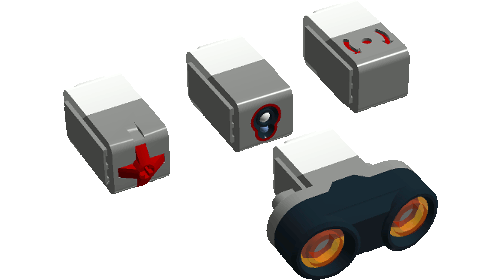 If you are new to LEGO® Robotics, don't worry, our training materials will turn you into a pro. The simulator's advanced physics engine affords an unparalleled level of realism. Experiment with how various physical forces act on your robot, change the friction on the playing surface, or mess with gravity to see how your robot would behave in a weightless environment.